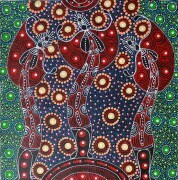 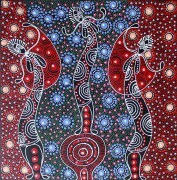 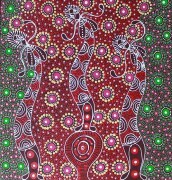 Colleen WALLACE NUNGARRAYI comes from a strong family tradition of Eastern Arrente painters, including Kathleen and Gabrielle Wallace. 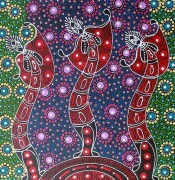 Colleen was raised by her mother at Santa Teresa and Alice Springs and has been painting since the early 1990s. 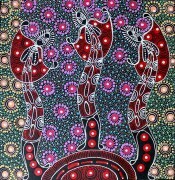 Colleen paints her dreaming stories of Bush Yam, Awelye (Women’s Ceremony), Bush Foods and Spirit Ancestors- Dreamtime Sisters.